Okay, I admit it - I love binge-watching YouTube videos. And I might be spending waaaaay to much time on that platform but hey! There are just too many awesome YouTube channels on veganism and I have to to watch them all! 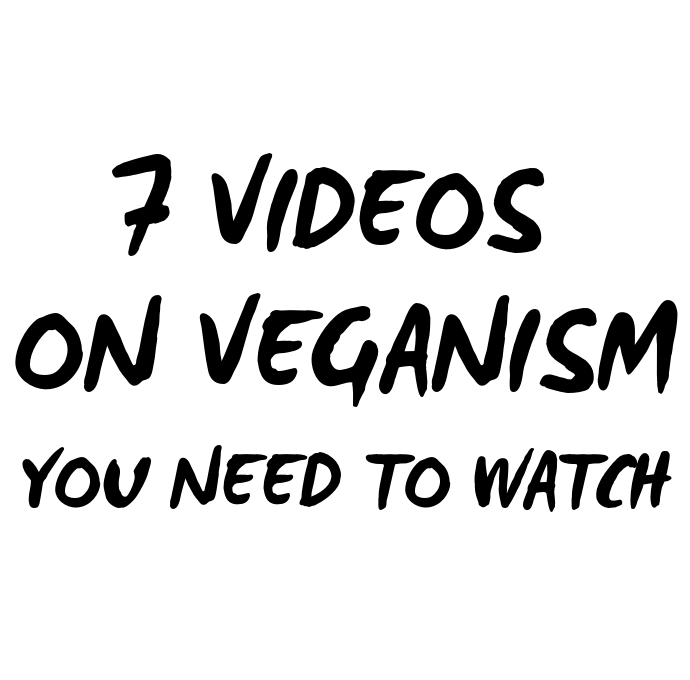 Here is a list of my favorite 7 YouTube videos on veganism that I think you should watch. Some of them are entertaining to watch, some are thought-provoking, some are painful to watch, some are educational, some are are an inspiration. A friend of mine recommended this video to me and I just had to share it! In the video, social psychologist Dr. Melanie Joy breaks down the psychological drivers behind eating meat. As she explains, the ideology of carnism is so deeply embedded in our society that it has become "normal". Defense mechanisms like denial, justification and distortions are what keep carnism alive. They hide the reality of where our food is really coming from. This really is one of the best speeches I've ever listened to. I hadn't seen it until recently but I've heard from quite a few friends that this was their reason for going vegan. So of course I had to watch it. And it made me smile, laugh, think and cry. Amazingly, within this one hour speech Gary is able to touch upon so many arguments for and against veganism. He includes facts and also clears up myths. I also think he ends his speech with some very strong points on why the dairy industry is actually the cruelest of all. It is my personal choice to eat animals. Human rights issues are more important than veganism. What if a vegan was stranded on a desert island? We have canine teeth/we are omnivores. Humans are at the top of the food chain. I encourage you to check out this video series! Especially if you're surrounded with non-vegan friends and family and you want to counter their arguments in a well-educated, rational way, these videos are a great help! This video really touched me. Not even one minute in I was crying and even after the video was over I couldn't stop crying. It has a lot of very graphic images. Yes, it is quite painful and difficult to watch. But I think this makes it even more important that we are shown these kind of undercover videos instead of keeping our eyes shut. The documentary has three part each focusing on one of the industries - meat, dairy and eggs. It is especially the cruelties of the dairy and egg industry that so many people don't know about. As we learned in video #1 (why we eat meat), hiding these things from our eyes is one of the defense mechanisms of carnism. I only recently discovered Unnatural Vegan's YouTube Channel and I am binge-watching all of her videos when I have free time. 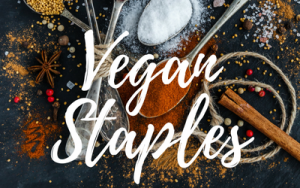 She focuses less on the animal rights aspect on veganism and more on the nutrition side. Her videos are always well researched with scientific reasoning which sadly is a rare thing on YouTube. 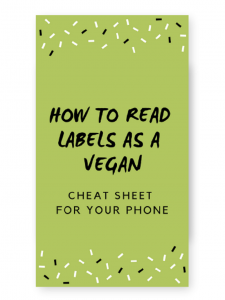 What I also love is that Unnatural Vegan has a very realistic approach towards veganism. She supports reducetarianism (reducing the amount of meat consumed), is open to constructive criticism and just keeps it very real on her channel. If watching the videos on That Vegan Couple's channel has taught me one thing it's how to talk to non-vegans in a calm and reasonable way. Definitely watch their videos if you want to see how they respond to arguments against veganism respectfully and rationally. I always appreciate when well-known people advocate for animal rights. In this video, P!nk talks about the wool industry and how badly sheep are mistreated. It is another one of those videos that are very painful to watch but it's definitely eye-opening. When people talk about veganism, the wool industry is something that is usually forgotten or at least not instantly thought of. Which is a shame - please watch this video. I want to end this list on a positive note so I'm sharing with you this video from That Vegan Couple filmed during the 2018 London animal rights march. Thousands of people gathered and marched through the streets of London (and all over the world) to raise awareness for animal rights. This video really moved me and made me feel hopeful. You'll also see a speech by the amazing Evanna Lynch (any Harry Potter fans??) and Ed (from Earthling Ed). His speech reminded me a lot of Marthin Luther King's "I have a dream" speech. It is amazing how he can talk to several thousand people and unite them in this common cause. Oh, I could go on with this list forever - there are too many videos out there. I'd love to hear from you! What is a video that you have watched on veganism which moved you or made you think? Let me know in the comments!